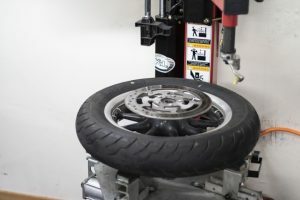 We provide the highest level of mounting and balancing of motorcycle tires utilizing our K&L, brand machines, providing precision at each step of the way. We stock many Harley Davidson sizes that are ready to be mounted and get you back on the road. During the tire mounting and balancing service we do a safety/brake pad/final drive belt inspection on all bikes that are placed on our lifts. We believe it is better to catch motorcycle problems on the lift rather than on the road. 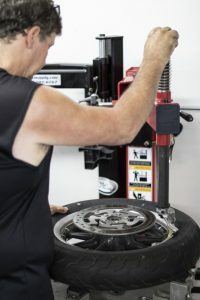 We have seen from experience it saves customers money if the work is done during tire changes.